when it comes to cosmetic and other household products, the terms cruelty free and vegan are commonly used interchangeably – however, these terms mean two different things. the market for animal friendly products is in full bloom but do people know the difference between these two terms and what they mean for animals? there is no legal definition of cruelty free, making the the claim of products generally open to interpretation from company to company. it is understood that products labelled cruelty free have not been tested on animals. vegan products do not contain any animal based ingredients. 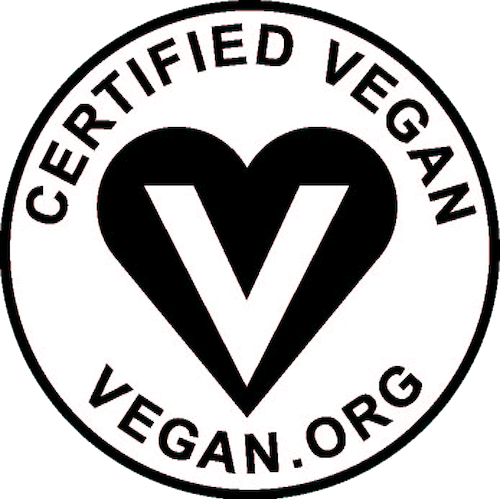 The certified vegan logo, from vegan.org, recognizes products that are both vegan and cruelty free. Products with this label have applied for and been subjected to a detailed review process to verify that the product is both cruelty free and vegan. Cruelty free products can contain animal based ingredients. Vegan products could have been tested on animals. Vegan and cruelty free products are not always natural or organic. It is important to read labels, especially ones for products you use on your face and body. Vegan and cruelty free products are not necessarily the best choice for the environment regarding plastic and waste production. Always look for reputable certifications regarding veganism and animal welfare as companies can claim anything through labels. Never forget the power you have as a customer. Your voice matters, you can write letters, tweet at brands, and make conscious choices while shopping. Choosing the products that match your morals can send a message to manufacturers and influence where companies invest. Cruelty free products specifically refer to animal cruelty and does not consider human cost. Some companies produce their products where they can maximize their profits by paying their employees less than fair wages. If you are looking for cruelty free products, please check out Logical Harmony’s website here for a list of cruelty free brands. The list highlights which brands are also vegan friendly. Another place to look is PETA’s searchable database of companies which can be found here. If you prefer using an app, many are available for both Android and Apple devices.